The Makeup Show opens its doors to the public at the return of their highly anticipated Holiday Pop-Up Shop this Saturday and Sunday. For these two days, consumers and makeup artists alike can pick up beauty products offered at steep discounts and get their holiday shopping done for the fashionistas on their list. Some of the brands will only be offering these discounts exclusively at The Makeup Show Holiday Pop-Up Shop. I know I’ll be there to check out the goods and stock up on my makeup kit favorites! The Makeup Show Holiday Pop-Up Shop will feature over 40 top beauty brands, each selling products at discounts ranging from 20 to 40% off. Participating brands include Kevyn Aucoin, Stila Cosmetics, Crown Brush, Static Nails, Armour Beauty, INGLOT Cosmetics, MAKE UP FOR EVER, Temptu, Obsessive Compulsive Cosmetics, Mario Badescu, among many others. 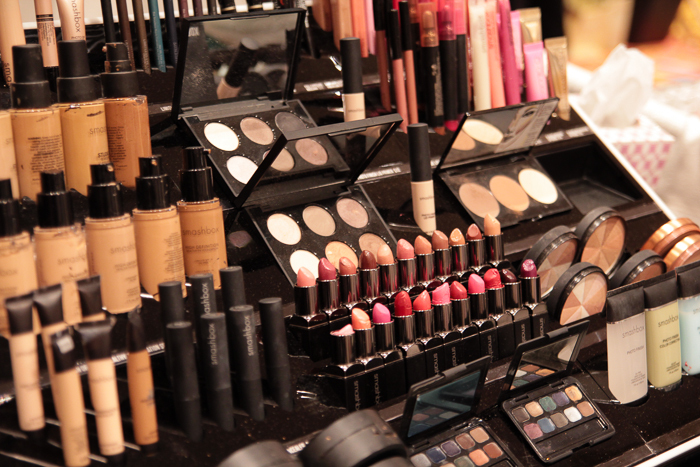 The Makeup Show Holiday Pop-Up Shop is held on Saturday, December 6, 2014 from 11 a.m. to 6 p.m. and on Sunday December 7, 2014 from 10 a.m. to 5 p.m. at Metropolitan Pavilion, 123 West 18th Street, 4th Floor, in NYC. Tickets are $25 each day, and can be purchased here. See you there!